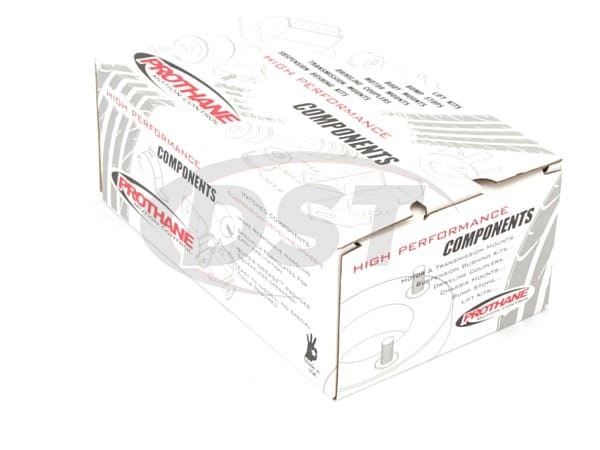 Prothane's polyurethane Body Mount Bushings will restore ride height and secure the connection between your Chevy's body and frame by replacing the worn out rubber bushings on your '99-'07 Silverado 1500 2WD and 4WD and will last much longer than rubber replacement bushings. The '99-'07 Silverado 1500s come with rubber body mounts which stand inbetween your truck's frame and body. 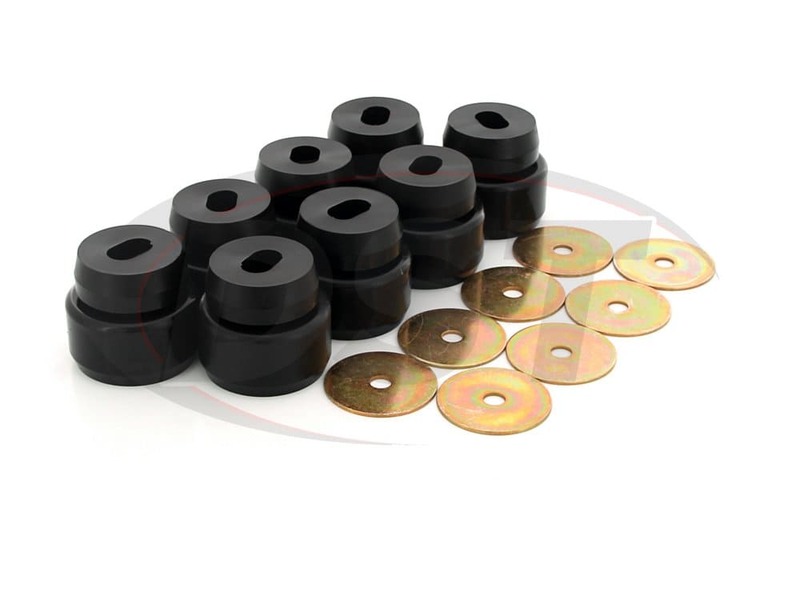 The stock rubber bushings do a good job of absorbing some of the vibrations and noise transferred from the road to the cab but these rubber bushings will degrade and begin to break down because of wear and exposure to the elements. 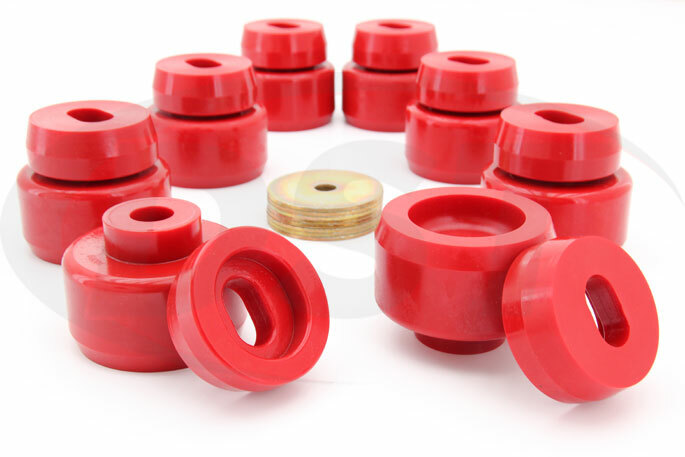 Polyurethane body mount bushings will replace those worn down stock rubber bushings and keep a firm connection between the body and frame. 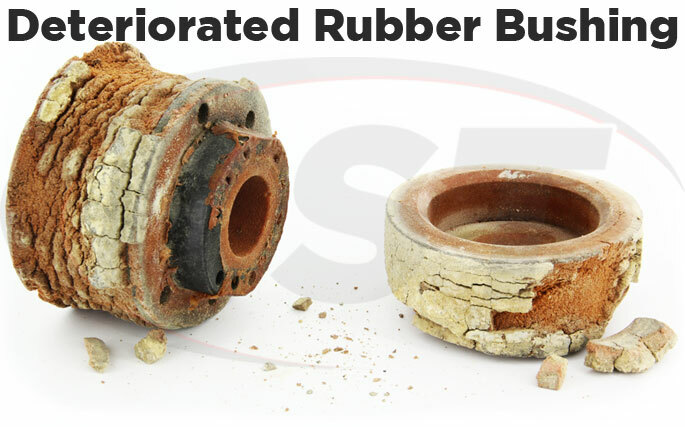 Rubber bushings almost always need to be replaced the longer they remain on your Silverado since oils, road grime, and heat will eat away at rubber. Polyurethane body mounts weather the elements much better than rubber and hold their shape much longer. Prothane believes in their longevity so much that they back up their body to frame mount bushings with a lifetime warranty. 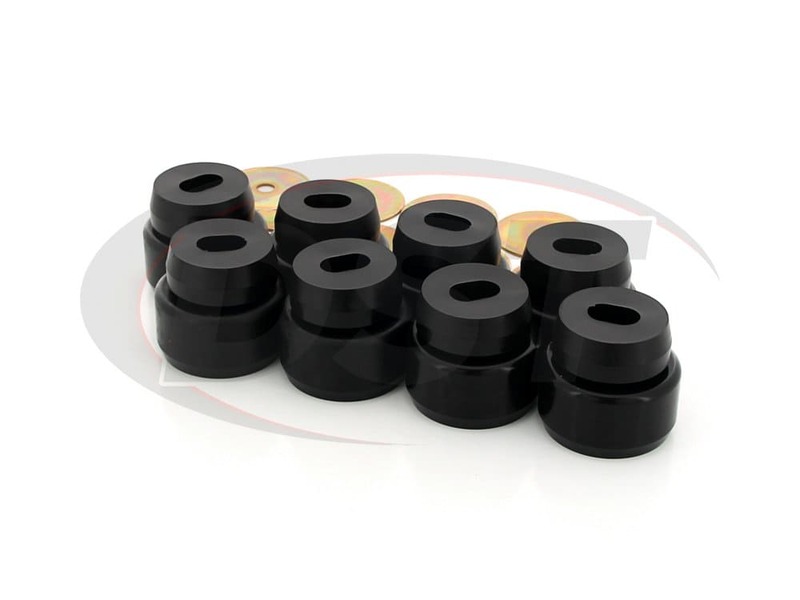 These bushings fit a specific Silverado chassis that uses a circular shaped fitment for the body mounts. Sadly the only way to tell which body mounts your Silverado requires is removing one of the current body mounts and inspecting it. If your extended cab 2WD or 4WD Silverado 1500 has circular body mount uppers then the 7-148 is the part for you. If you find you have oval shaped uppers the 7-141 body mount kits will cover the extended cab chassis style. 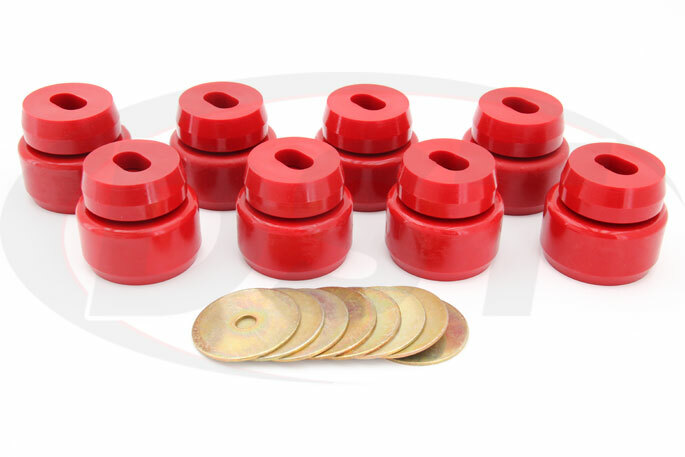 If you have a standard cab with oval shaped upper mounts then the 7-147 body mount bushings kit will give you the 6 bushings needed to cover that application. 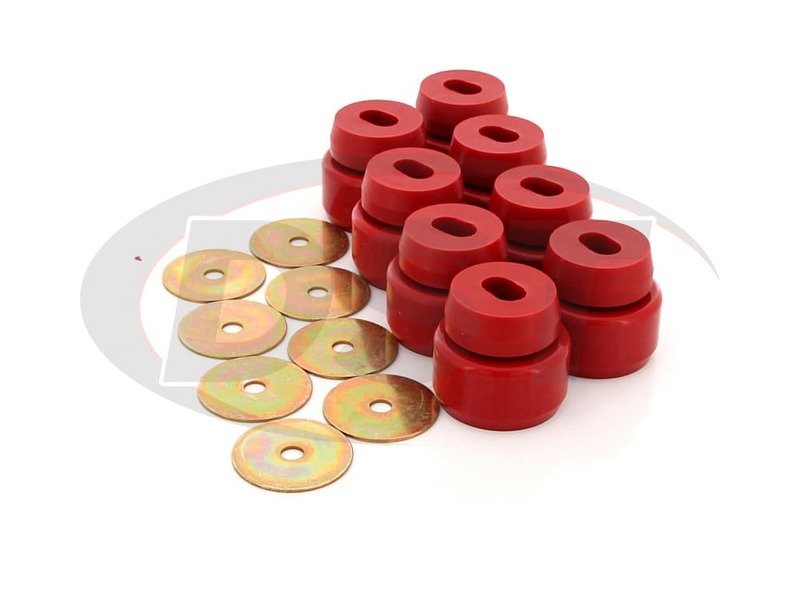 The bushings are a perfect fit for my 2006 Silverado [Canadian model] very please with the delivery and the product. Can part 7-148 fit a 2006 Sierra 1500 4x4 Crew Cab Canadian made truck? Part 7148 fits USA models but on some occasions might fit Canadian models. That being said the best way to know for sure it to see what shape mounts you currently have on your truck. Which body mount bushing kit will I need for my 1999 Silverado 2500 4x4 Reg cab that has oval holes? 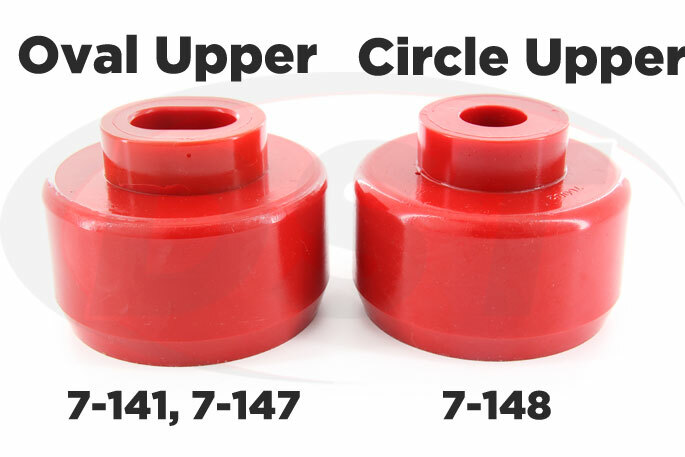 If your 99 Silverado 1500 Regular cab has oval holes you will need part number 7147. this 7148 is only for the silverados with the circular upper mounts. Does this come with new bolts or is that a separate purchase and if so do you carry them as well. Body Mount bushing kit 7148 does not come with the hardware, we have not been provided with hardware for this kit. There is a steel bell insert the bushing sits on for the OEM bushing, however, your prothane bushing will not fit over the oval stem for the bell insert.....is this steel bell insert still needed? to answer your question, the steel bell is still needed those mounts are not designed to go over the steel bell but through/ inside the bell itself Then mount to the frame. In the video you say your kit 7148 is for 2007 and up, in another spot you say it will fit my truck. so will 7148 fit my Canadian made (vin 2) 2003 gmc sierra 4WD extended cab?